* How do you build the #YAPILI, happy family Part II ? To build a community, you need to share common values with its members. Especially the core members. Those core values will help you build your community, from the core. The core of your community is its heartbeat. They bought into your values with great intensity and actions! That core, the early-adopters of your technology which have been its most zealous advocate, considers themselves as ‘fans’ and would even happily wear your tee-shirt! → Wikipedia, the global ‘webopedia’, understands it well and has a special portal for its ‘zealous’ core community for example. Think about your community as a human body and tell yourself that you need an emotional core to your community, as well as a brain, or several brains – 10 community members is a good number – to form a ‘Brain trust’ or ‘Think Thank’. The Think-Thank, is the ‘brain’ of the community and requires you to be engaged on a regular basis with the members of your online community. That is how the brain functions: it checks on its members on a regular basis. How do you translate that in social media? → You do get engaged by submitting regular opinion polls (Like the ADMP poll with Social Media consultant, Alban Jarry here) quizzes, mindgames,.. to know on a regular basis what your community think and how it is evolving. Go-ahead and follow Social Media marketeer, Apoline Adiju fun steps to a good online quizz here. Well…the idea is to never disappoint or upset the core of your community: The early members are often the most involved of your fans. Of course, should you wish to evolve from your core values, Agile management insist on being flexible and on having a deep understanding of your community via the role of the Product Owner. → You will then find a way to stir your community towards a new set of values, if you need to do so. If you apply that to Social Media you will have an approach that will follow the techniques used all over the Silicon Valley and the startup Ecosystem. Let’s check below in 5 points, what they had to say about it. ADMP AWARDS : Interesting! Congratulations for your Seedstars Gaborone Award! Africa needs it! How does it works? How did you go about winning it? #YAPILI: In July, we visited Gaborone mainly to conduct market research and promote YAPILI at different public venues and innovation events. Since we are based in the Netherlands, it is incredibly important for us to understand our target-markets in order for YAPILI to fill gaps and satisfy needs. We met with the Botswana Innovation Hub (BIH), which is an entity that is central to the start-up scene in Botswana. We received the news for the Seedstars Gaborone competition through BIH. Our “Botswana Market Activator” prepped YAPILI for the pitch, and another colleague flew to Botswana and pitched for YAPILI in front of the Seedstars crowd at Botswana University. We are over-the-moon about our big win and we are delighted and proud to represent Botswana at the Seedstars Africa Summit next month, and at the World Summit in Switzerland next year. 2- ADMP AWARDS: Can you tell us more about your App? Which technology is it using ? Is your App, easy to use it? #YAPILI : Our app is available on the Google Play Store. It is a very “light” app to download and use, and it’s free. We are not yet on the Apple Store, so if the user has an iPhone, he or she can sign-up on our online web browser. The app and platform can be accessed from the user’s mobile phone or computer. Our app gathers real-time data for its anonymous users, so that in the long-run, research institutes can collect and process information on various illnesses. Enhancing data-analytics across Africa will play a huge part in preventing and assessing epidemics. 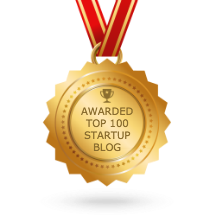 3- ADMPAwards: Can you tell us more about your goals and targets, please? #YAPILI : YAPILI enables a peer-to-peer platform (“uber-ization”) for health advice – where patients don’t need to queue at public hospitals to ask medical questions and share their health concerns. Furthermore anonymous access ensures users don’t need to worry about their privacy around stigmatized health issues. We are the first app and online platform that safely stores patient’s data for the digitization of medical records in Africa and empowers users to keep control of their own health data and medical history. 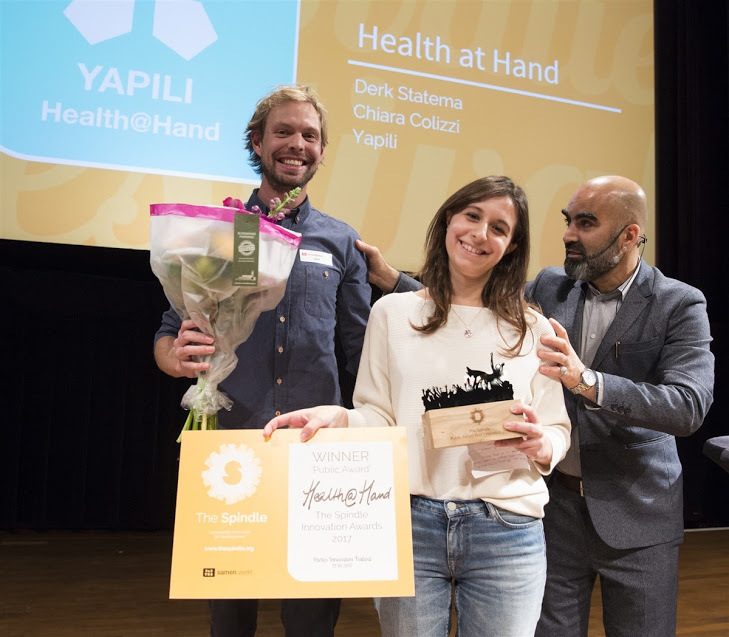 YAPILI provides Health@Hand! This means that the users of our app can access affordable and confidential health advice from licensed physicians locally or internationally. Users have the possibility for follow-ups and digitalising their medical histories! YAPILI supports gender equality by supporting everyone & anyone- regardless of gender or sexual orientation – to get connected to a health professional for reliable advice. We empower our users by delivering confidential Health@Hand. We are using a sustainable and scalable business model to advance the use of existing technologies, in deploying an app as an innovative health solution to fill the gaps of health-access in African countries. If you are interested in helping #YAPILI scaling-up across Africa: Let’s get in touch! :))- → Are you interested in the internet-Of-Health, mHealth, telehealth, #Healtech, digital innovation, healthcare, promotion, marketing and/or business development? Yapili is looking for “Market Activators” in Nigeria, Rwanda, Tanzania, South Africa, Uganda, Zambia and Zimbabwe !! Thank you, you’re Far Too KinD!